Commercial companies, government organizations, as well as friends in Facebook users can find out about the information that they may not wish to disclose. Researchers at Cambridge University, said that the approval of expression in social networks can reveal about the users of their confidential information. Thus, according to the report presented by Michal Kosinski, David Stillwell and Thore Graepel, by means of “Likes” on Facebook, you can inadvertently reveal about themselves such sensitive data, such as age, gender, IQ, sexual orientation, political or religious beliefs, and even the use of psychotropic substances. The study involved more than 58,000 volunteers who have provided scientists their demographic data and the results of several psychometric tests. They give it a “likes” in Facebook, expressing approval of photos, statuses, music and sports pages, and books, and 80% of the scientists were able to discover private information about users. Thanks to “Likes” researchers were able to pinpoint sexual preferences of users in 88% of cases, ethnicity – in 95%, and political beliefs of 85%. 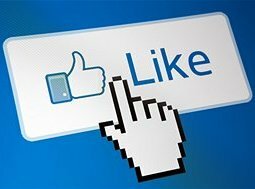 “Likes is a versatile class of digital records, such as search queries, web-browser history, purchases with credit cards. However, in contrast to this information, the huskies in Facebook are public by default”- researchers said. User information can be used to improve the online-services, however, experts have warned that it could have negative consequences, especially when access to the data provided by users without their knowledge. “With the help of special software, commercial companies, government organizations, as well as friends in Facebook users can find out about the information that they may not wish to disclose” – the researchers concluded.